« FBI and DOJ – Connecting the Dots! When the American people elected Donald Trump, they won a lot more than the White House. They also won a makeover of government agencies bogged down by eight years of radical social policy. 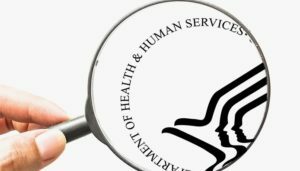 Nowhere is that more obvious than the Department of Health and Human Services (HHS). More than 12 months into the agency’s reboot, liberals continue to be baffled by politics’ most basic principle: when an administration changes, so does its agenda. In a lengthy Politico expose, Dan Diamond tries to dissect the swing toward conservative, science-based policy at one of the largest government offices. Insisting “religious activists” are “on the rise” in HHS, Diamond steers the conversation toward some very familiar faces: former FRCers Shannon Royce and Charmaine Yoest, and longtime movement allies Valerie Huber and Roger Severino. Click HERE to read more from FRC.